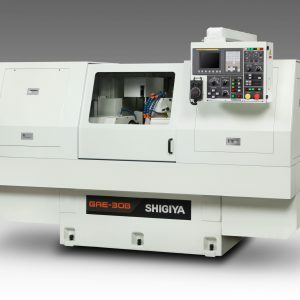 New Machines - Machinery Resources International Inc.
Shigiya machine tools and grinding machines have been meeting the diverse metal processing needs of the U.S. market since the 1970s. 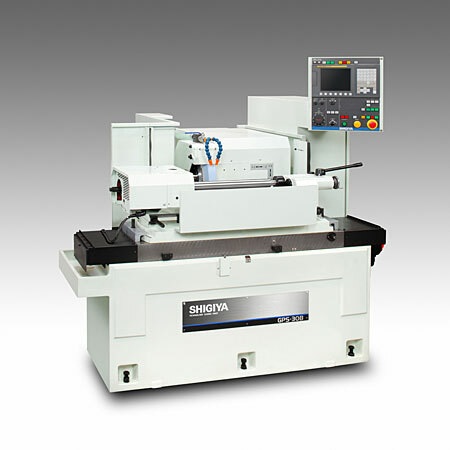 The extensive Shigiya product portfolio – from production-type to ultra-precision grinders, both small and large – fulfills the cost, volume, and specification requirements of myriad applications. 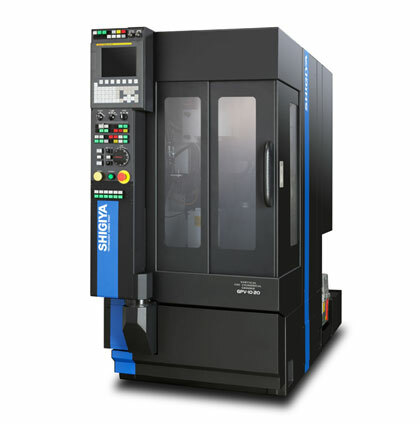 The GPV-10/GAV-10, developed with an eye to the next generation, will be the standard models for vertical CNC cylindrical grinders. 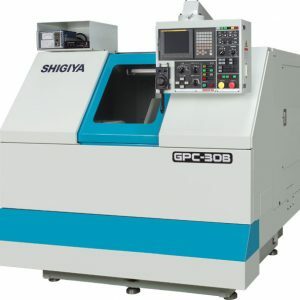 Perusing “higher accuracy grinding with easier operation,” SHIGIYA has infused GPS-30B (GPS-40B) with its own, cutting-edge technologies in order to create cylindrical grinders with uncompromising quality and performance. The greatest feature of the grinder is its low price, which is possible because the customer can select from various standardized option. Our approach to making a more affordable product does not just entail lowering its performance. Rather, we have reduced costs by streamlining the design and manufacturing processes, using common parts, and scaling production through careful mass production planning. 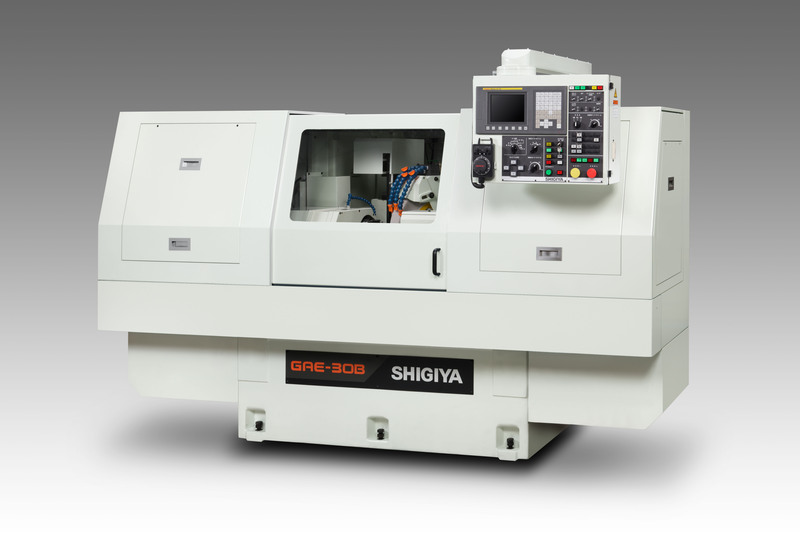 Perusing “higher accuracy grinding with easier operation,” SHIGIYA has infused GSU-30B (GSU-40B) with its own, cutting-edge technologies in order to create universal grinders with uncompromising quality and performance. The greatest feature of the grinder is the wheelhead NC swivel function, which enables the customer to select from 9 different wheelhead installation patterns. In addition, the operator can perform eccentric O.D. and non-concentric O.D. grinding (polygonal grinding) using the C-X axis control if specifications such as a closed type hydrostatic slide wheelhead feed and a work spindle rotation direct drive etc. are added. Variable of automation lines can be constructed like clockwork. The smallest frontage in domestic manufactured, and the compact body combined with electricity. Accurate wheelhead traverse, which was achieved by the design with high rigidly such as using large diameter ball screws and low vibrate bed. GPC/GAC can easily combine with variable automation systems such as robots and auto loaders, by using wheel traverse system. 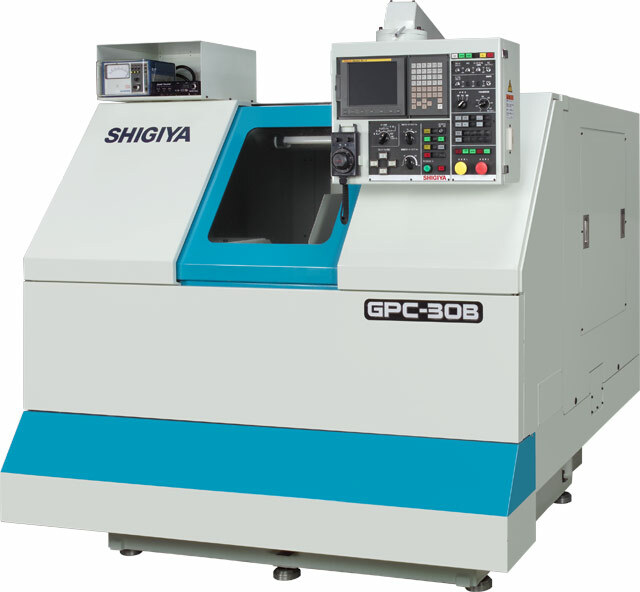 GP-45D (GP-55D) has been developed to provide multi-grinding function as well as more consistent accuracy and greater ease of use than previous models of our long selling grinder series, which has gained popularity and trust in the construction, printing, heavy electrical machinery and machine tool industries. 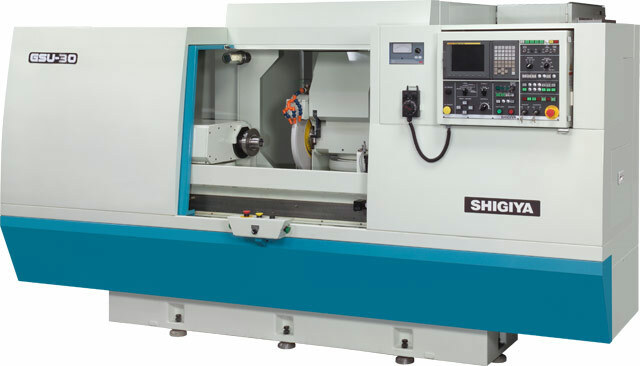 Pursuing “higher accuracy grinding with easier operation, SHIGIYA MACHINERY WORKS has infused GAE-30B (GAE-40B) with its own, leading-edge technologies, while allowing no compromise at all in creating the Cylindrical Grinders. 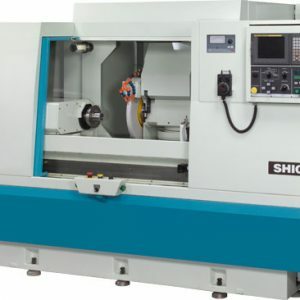 The greatest feature of the grinder is that it allows for face grinding to be carried out with the feel of a plain type cylindrical grinder by using an angle head type wheelhead. 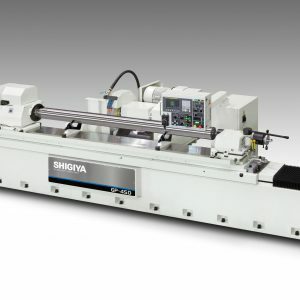 and this general-purpose CNC Angular Cylindrical Grinder puts priority on operability in its pursuit of ease of use. The wheelhead, workhead, and tailstock units are all modularly designed for rigidity and quality to allow for both heavy and precision grinding.